Kitchen and Culture is a culinary-oriented new media business venture based in New Orleans, one of the top ten culinary travel destinations in the world. Susan is a Mississippi native and comes from a long line of great Southern cooks. She has a BA in journalism and a minor in business from the University of Southern Mississippi. She started her publishing career in January of 1990 when she went to work for a commercial real estate magazine in Novato, California. Since then, she has been on the launch team for numerous magazines, web sites, and email newsletters, in both the high tech and lifestyle category. She looked for work in New Orleans after Hurricane Katrina, and left the San Francisco Bay Area to bring her publishing expertise to Louisiana in 2007 as a consultant with Louisiana Cookin’ magazine. She quickly become immersed in Louisiana's seafood industry, travel, tourism, hospitality, and culinary worlds, like none other in the country. In 2011 she formed Our Kitchen & Culture, LLC and launched Louisiana Recipes, a free, weekly email newsletter, and companion website, louisiana.kitchenandculture.com. She began working on the launch of her current magazine, Louisiana Kitchen & Culture, which debuted in April of 2012. The glossy, high production value print magazine is published six times per year, and has paid subscribers in all 50 states and several foreign countries. It is available nationally with a cover price of $5.97 to better bookstores, newsstands, and grocery stores by CoMag Marketing Group, North America's largest newsstand distributor. 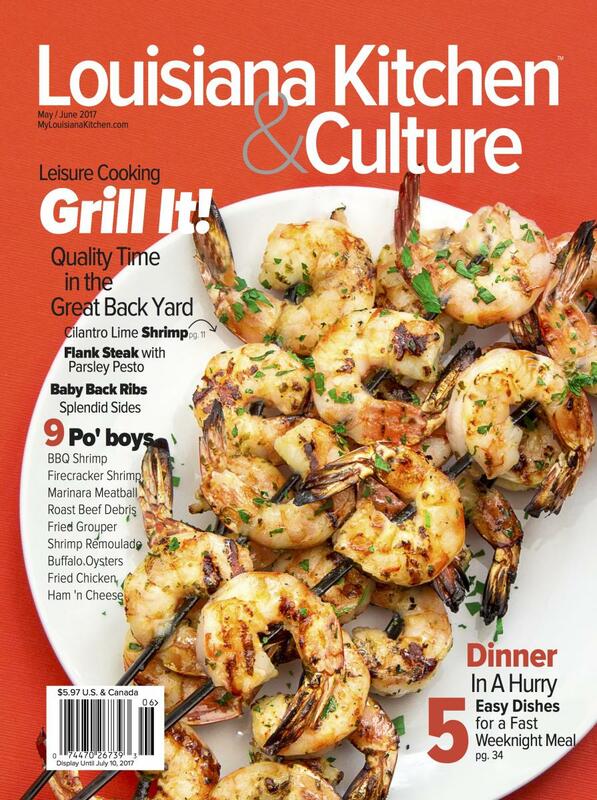 Subscriptions may be purchased for $25 per year vial louisiana.kitchenandculture.com or by calling 504.208.9959. She has served on the membership committee of the Louisiana Travel Promotion Association since 2008; she served a year as the first Associate Board Member of that association; she served two years as the chairman of the Louisiana Travel Political Action Committee, and currently sits on that board. She has close ties to Louisiana's most influential chefs, restaurateurs, and tourism professionals: "I have a tremendous amount of respect for their talents, and the perfectionist attention to detail they devote to their craft. I’ve made some great friends, I’ve learned a lot, and I look forward to continuing to create a magazine that celebrates the unique culinary culture, heritage, and cuisine of Louisiana." Louisiana Kitchen & Culture is an intelligent, informed guide into Louisiana’s unique culinary culture and heritage, and the many nationalities, ethnicities, and traditions that came together over centuries to shape what it is today. It also provides unique insight into the region’s ongoing culinary and cultural evolution. Louisiana Kitchen & Culture provides an insider’s guide to the authentic experiences today’s cultural and culinary travelers seek. Rich with recipes, generous commentary, and suggestions from Louisiana’s home cooks, culinary schools, restaurateurs, professional chefs, and travel and hospitality professionals, Louisiana Kitchen & Culture immerses readers in the diverse characteristics of the state’s culture.